JP Nauseef to head Jobs Ohio? 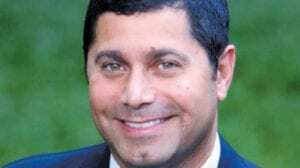 Reliable sources have told Esrati.com that JP Nauseef, former head of the Dayton Development Coalition is in the running to be the next President of JobsOhio, the state jobs and economic development arm. The organization works to help companies do site selection, crafts incentives and markets Ohio to the world as a good place to do business. Considering that for the first time that the Governor and the Lt. Governor both have Dayton roots, adding Nauseef to the mix would be a big departure from business as usual in Columbus where the “Three C’s” – Cleveland, Columbus and Cincinnati generally rule. Nauseef, an Air Force Veteran, is currently the Co-Founder and Chairman at Krush Media Group an ad tech firm that started in Dayton that has offices in NYC, Pasadena and Dayton. A Carrol high school grad, he went on to get a BS in MIS from UD and then a Masters in System Management from USC. He’s worked extensively in venture capital and was closely associated with the Mathiles for years. He was also instrumental in the “Big Hoopla” program surrounding the NCAA first four tournament that has been a very successful way to fill hotel rooms and put Dayton on the map. Considering Nauseef’s extensive experience in venture capital, startups and development is all Dayton/Ohio centric, as compared to the first JobsOhio chief, Mark Kvamme a California based VC who barely lasted a year. For those who know Nauseef, he’s an incredibly diplomatic networker who stays calm under pressure and makes things happen. He’s also humble. If we’re going to have someone representing us to people like Jeff Bezos or Elon Musk, he’d be an excellent choice.